We receive a number of questions regarding nominations each year. We hope that this comprehensive FAQ will help you to better understand the nomination and selection processes, allowing you to more confidently submit your nomination. Please review the nomination examples provided below for further guidance on a well-written nomination. Each nomination represents a recent Honoree and was accompanied by three strong letters of support. 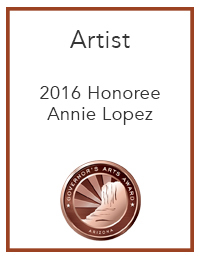 The deadline for nominations for the 2018 Governor's Arts Awards is December 1, 2018, at 11:59 p.m.
Do I have to complete the nomination online? Yes. The nomination process is completely digital. We recommend preparing your nomination in a text editor, such as Microsoft Word or Pages, and then copying and pasting your answers into the submission form online. Any individual, school, organization or business that fits the criteria of any specific category. Please note that any previous Individual Honoree cannot be nominated again and any previous Business, Organization or School Honoree cannot be nominated for at least 5 years after they were previously recognized. Anyone can nominate any program, organization, school or individual. If you are thinking about submitting a nomination, contact the nominee and/or supporters to obtain as much useful and supporting information as possible to submit a strong nomination. A good nomination consists of detailed and complete answers to ALL of the questions that comprehensively illustrate multiple facets of a nominee’s work in the arts. Letters of support are also important to convey the depth and importance of a nominee’s work. Can a nominee be submitted in multiple categories? No, each nominee should only be nominated in a single category. What if an organization and an employee/associate of that organization are both nominated? There is nothing preventing an organization, school or program and a volunteer, educator or employee of the institution from being nominated separately for their individual efforts and successes in the arts and their communities. If more than one of us wants to nominate a person or organization, should we all complete a nomination? Only one nomination per person or organization will be accepted. The most effective way to demonstrate vast broad endorsement of a nominee is through letters of support. Each nomination is permitted 3 letters of support to be uploaded with the submission. Do I have to submit letters of support? No, letters of support are not required, however; they are strongly recommended, as they can demonstrate extensive support for the nominee while also exhibiting diverse perspectives regarding the nominee’s merit. Also, the more complete the nomination, the better received it is by the judging panel. 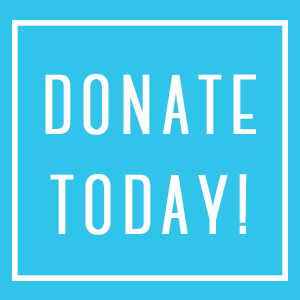 I have more than three people who want to endorse the nomination – what do we do, if you only accept 3 letters of support? In a case where you have more than three major supporters of a nominee, it is best to include a comprehensive letter that bears multiple signatories. Please note: this single letter should not take the place of the other two letters. It is recommended to utilize the letters of support as a means to illustrate multiple voices and perspectives in support of the nominee and their work in the arts and their community. Can I have one of my references just send his/her letter directly to you? In order to be sure the letter of support is included with the nomination, it is best that you obtain all letters of support, save or scan them as PDFs and upload them with your nomination. Can I begin a nomination, save it and return to it later? Yes, there is an option to Save and Continue Later at the bottom of the form. You will be given a link to return to your form later. It is highly recommended that you follow the prompts to email the link to yourself. The web administrator will not have any way to view or provide you access to your partially completed nomination if you do not follow the instructions to email yourself the link. It’s important that the judges see the work of my nominee, what do I do about that? There is an opportunity to provide a website address on each nomination, where you can share a link to the nominee’s program(s), portfolio and/or vitae. The significance of the contributions and achievements of the nominee. The range of individuals or groups served by the contributions of the nominee. 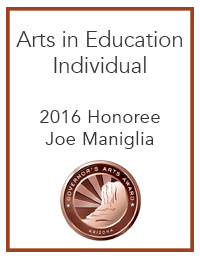 The length and degree to which the nominee is dedicated to the arts. The first panel assembled will determine three finalists in each category. A second panel will select the honorees in each category from the finalists.will judge the honoree in each category. A separate panel will review the Philanthropy nominations and choose a single honoree. When will we know who the finalists are? All nominees will be announced in February. The Shelley Award and Philanthropy Honorees will be announced during the same time frame. Nominees, nominators, sponsors, and supporters of Arizona Citizens for the Arts will be invited to attend the Nominee Reception, to be held February 2019, (date and location TBD), where the three finalists in each category will be announced. Finalists who were not selected as honorees will be automatically re-entered into nomination the following year and will be given the opportunity to update their nomination – unless they do not wish to be considered again.